Product #21514 | SKU 2573345 | 0.0 (no ratings yet) Thanks for your rating! 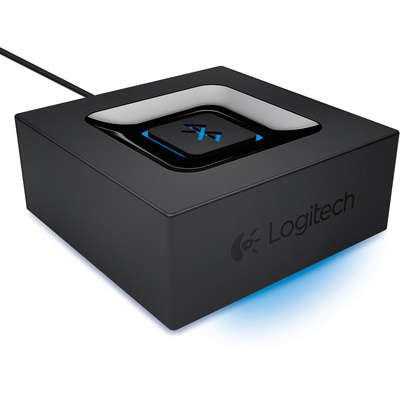 The Logitech Bluetooth Audio Adapter lets you stream music wirelessly from a Bluetooth-enabled smartphone or tablet to powered speakers with 3.5mm or RCA inputs. Simply press the pairing button and you're ready to listen. Automatic re-pairing means you don't have to worry about re-connecting. Stream and control music from up to 15 m away.